Foldable (Can slip into Pocket). Extremely Light-weight, Washable, Reusable. Does not impair breathing, voice & vision. Can be worn to prevent Pollution or as an Fashion Gear and also protects your face from ice cold winters. Can also be worn to prevent Communicable Diseases such as Cough & Cold, Sore Throat Etc. 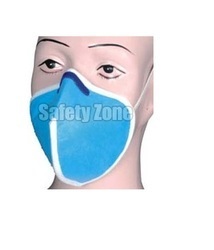 Looking for Dust Pollution Mask ?